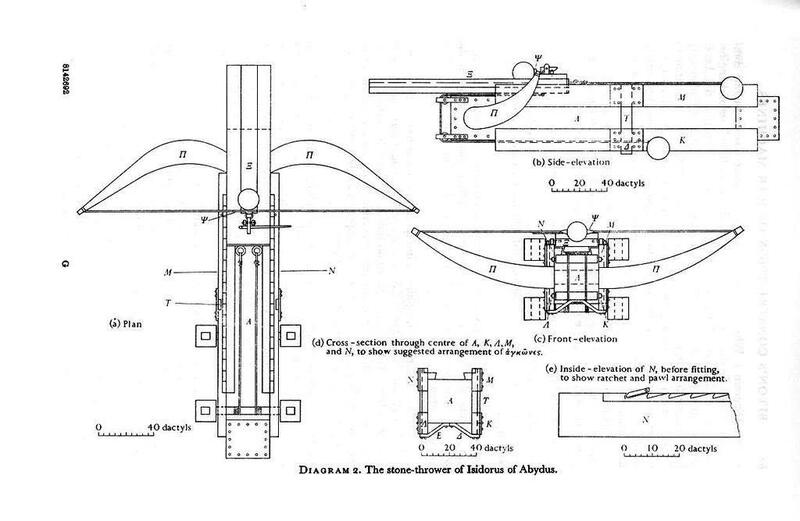 Detailed diagrams of the Hellenic stone-throwing catapult of Isidoros of Abydos, by Marsden: general plan, side-elevation, front-elevation, cross-section (through center of A, K, Λ, M and N), inside elevation of N before fitting. 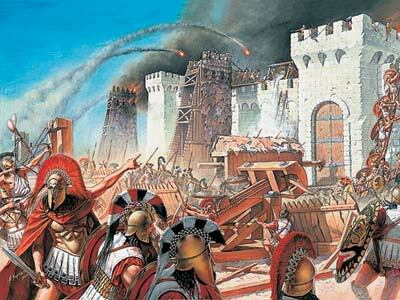 This is an artist’s impression on the use of heavy catapults by the ancient Greeks in siege. In this case, the catapult in the center of the image is a palintonon (παλίντονον), a related but much heavier catapult which I’ll present in detail in a future post.